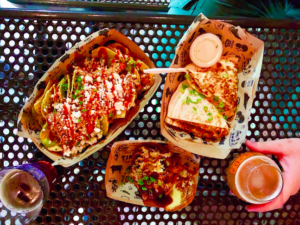 Charlotte's famous TIN Kitchen food truck is on-site daily for your dining pleasure. Monday 5:00PM - 8:00PM Tuesday 5:00PM - 9:00PM Wednesday 5:00PM - 9:00PM Thursday 5:00PM - 9:00PM Friday 5:00PM - 9:30PM Saturday 12:00PM - 9:30PM Sunday - 12:00PM - 7:00PM The creative menu pairs perfectly with quality craft beer. 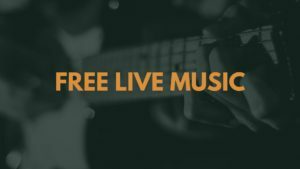 Join us Friday evenings for free live music at the North End tap room. This Friday we’re pleased to present the special talent of WaterWorks. Facebook Event. 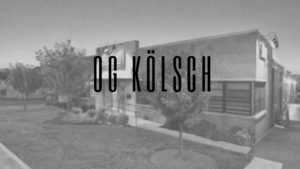 Join us for the return of our OG Kölsch as we prepare to celebrate the re-opening of the OG, our original location on N. Davidson Street. We're releasing this traditional Kölsch-style ale first at our N. Tryon St. tap room today, but (!) 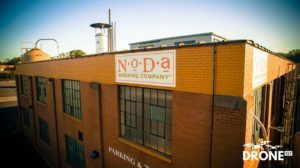 it will also be on tap at the OG itself during Open Streets 704: NoDa Beer Stop and of course, The OG Grand (re)Opening. Facebook Event. We're banding together Charlotte's brewery hoppers and beer nuts for a toast to confidence, self-esteem and independence. 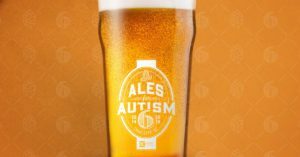 Come out to the 6th Annual Ales for Autism for a family-friendly event featuring food trucks, live music, on-site raffles and sudsy good fun. All proceeds will help Autism Charlotte continue to fund its stellar learning and development opportunities for children with autism and their families. For ticket perks and purchasing information plus potential event updates please visit the Facebook Event.